Are you looking to lease or purchase the 2017 Toyota Camry in Orange County, CA? The 2017 Toyota Camry is a midsize sedan offering a large number of amenities. Four trim levels are available; LE, SE, XLE and XSE. The exterior features bold hoodlines while the Camry SE and XSE trim levels offer an aggressive grille for a sporty and striking appearance. The XLE trim level is available with LED highlights. The optional dual chrome tipped exhaust has been designed for maximum performance. Buyers who want a sportier Camry may want to opt for the paddle shifters and sport leather trimmed seats features available on select trim levels. The XLE and XSE trims come equipped with navigation, Toyota’s Entune system and Qi wireless smartphone charging which allows owners to charge their android phones without using a cord. Accessing the navigation system, audio controls and multimedia systems is easy with the intuitive center stack. New for 2017 is the availability of a blue metallic paint previously only available on the Toyota Camry Special Edition. Those who opt for the SE and XSE trim levels can opt for this color at no additional cost. Standard safety features include air bags, a rearview camera system and a tire pressure monitoring system. 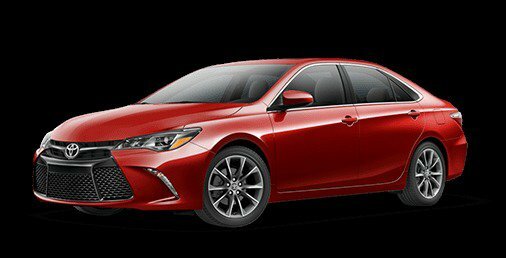 Contact us if you are interested in test driving the 2017 Toyota Camry in Orange County, CA.